John Raven Bernarte or “Raven” (as he’s fondly called) always wanted to enter the seminary and become a priest. Born to a family who regularly attends Sunday masses, Raven shared that as a kid, he’s always in awe whenever he saw priests wearing cassock or stole, celebrating mass, proclaiming the Good News, and teaching lay people about faith. “I would dress like them. I would cut our curtains and turn them into a cassock-like garment. Sometimes I would wear big-sized t-shirts and pretend I was celebrating a mass in our house,” Raven recalled. But life wasn’t all bed of roses for Raven and his family. He recalled how he almost died from dengue when he was a kid. The doctors even said he’s got only months to live, but with the grace of God, he survived. Then it was followed by his mother needing to undergo a surgery to get rid of an ovarian cyst. “At an early age, I can already say I have carried crosses. But I didn’t mind the hardships that time because I have always believed what my parents would always tell me, it shall come to pass. With God’s mercy, we were able to surpass them all and looking back, those experiences made us stronger as a family and a follower of Christ,” said Raven. In 2005, Raven’s mother decided to move from Quezon City to Rodriguez (formerly known as Montalban), Rizal for a house they bought for a cheaper price – a house they can finally call their own since they had no permanent house or address prior that time. But at first, they were hesitant to live in Rizal due to its the distance, not knowing, this is where he will be called to serve. In 2007, Raven joined the Ministry of Altar Servers at the Our Lady of the Most Holy Rosary Parish in Rodriguez, Rizal, but had to transfer to a nearby parish in San Rafael after a year due to parish restrictions, where the parishioner has to serve in a nearby parish where he lives. In 2008, Raven graduated from Eulogio Amang Rodriguez Elementary School (ERES) and from Roosevelt College Rodriguez in 2012. “As I serve in the parish, little by little, one thing is becoming clearer to me – I really wanted to enter the seminary, but my mother won’t allow me that time,” Raven admitted. After High School, he took Bachelor’s degree in Secondary Education, a course his mother wanted him to take, at St. Joseph’s College in Rodriguez, Rizal, only to realize later that God used that education for him to grow the seeds of his desire to pursue his priestly vocation. “My teachers, nuns, classmates became instruments for me to continue pursuing my vocation,” Raven said. But in 2013, the desire to pursue his priestly vocation was sidetracked by his desire to help his family by availing of a free education to help himself graduate from college. 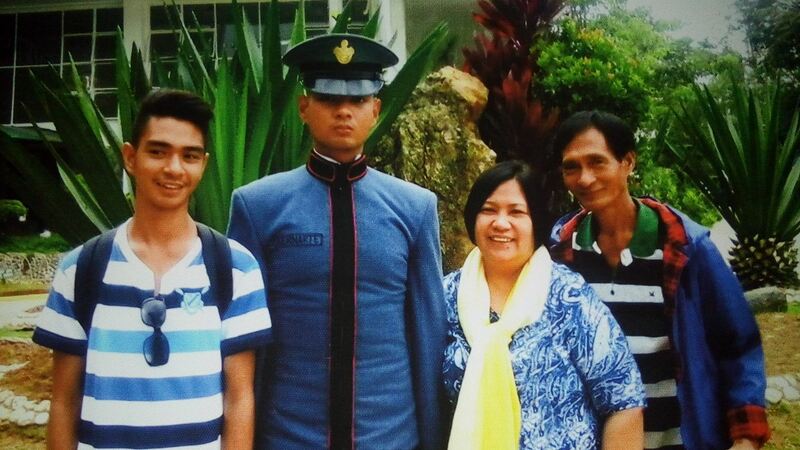 Upon his father’s encouragement, Raven took a cadetship exam, to which he passed, and entered as a plebe at the Philippine Military Academy in Baguio City on April 1, 2014. Apart from the noble privilege of serving the country, being a PMA cadet entitles you to free college education with a well-rounded curriculum, monthly salary and allowances, guaranteed job after graduation, and a progressive career as an officer in any of your chosen branch of service: Philippine Army, Navy, or Air Force. After six months, Raven was able to go back to the academy and when he’s back, he began excelling in his academics. His lingering health issue was all it took to make him decide to really quit the academy for good, and went back to the parish serving as a member of an all-male choir. Raven came to a point where he started doubting if there’s really a Christ and questioning if his life had been really worldly to deserve all the frustrations and disappointments. After one mass, he decided to visit the Adoration Chapel and to really talk to God – heart to heart. But before he entered the chapel, he was already teary eyed due to sadness, frustrations, pain, and remorse. Raven felt really, really tired that time even though he wasn’t doing anything. All he remembered saying over and over again was, ‘Sorry, Lord’ and that’s when he finally decided to start fixing himself and surrender his life to God. The desire to serve Him came back to life and little by little, Raven started discovering the signs God had been sending him all those years through people and his life experiences to make him decide to pursue his vocation. It’s been a year now since Raven decided to enter the seminary, which coincided with the church’s celebration of Pentecost, or more popularly known as the church’s birthday or the coming of the Holy Spirit on the early followers of Jesus. Raven recalled how worried he was after passing the entrance examinations in the seminary on how he was going to support his education given his family’s financial situation. It was also difficult to find a benefactor that time even with the help of a parish priest. The next day, a relative priest who hails from Albay called and wanted to see him. After talking, God must have answered all his prayers because that relative of his pledged to take care of all his financial worries. The rest is history. Up to now, Raven still feel unworthy of his vocation, but who can say no to God when calls one to serve Him? 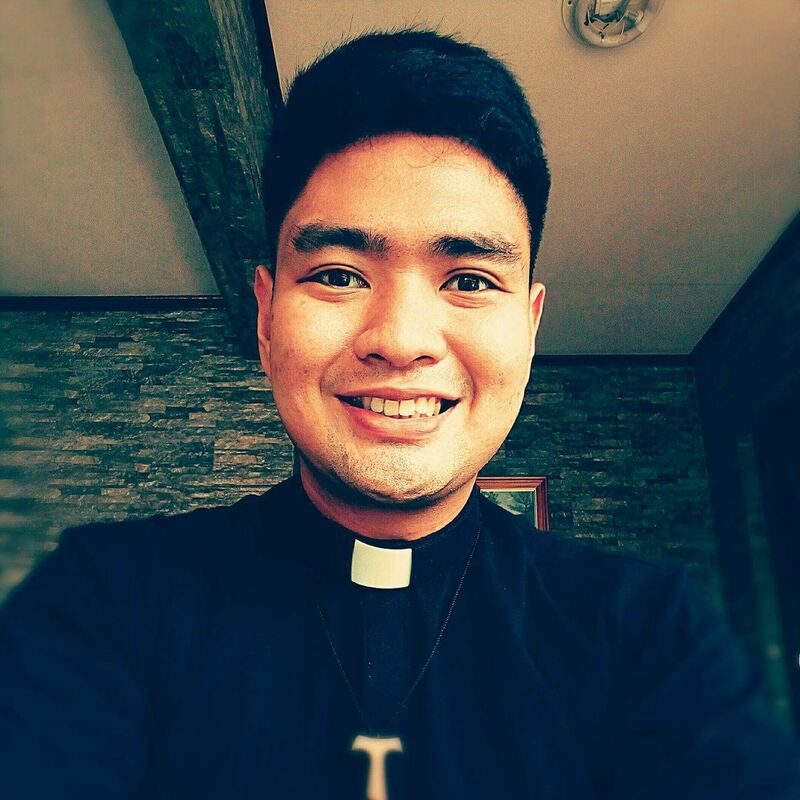 Not yet a priest though but a seminarian, Raven still has more years, struggles, hardships, pains, joys, and milestones to experience and endure for him to be ordained as a priest, but with our prayers and support of his family, friends, and parish community, I’m pretty positive he can surpass them all. To Raven, may God bless and keep you in this journey. Good luck!